Studies have shown that Norwegian Red cross Holstein (hybrid cows) outperformed purebred Holstein Cows when used in a crossbreeding system. They provided £115 more net profit per cow, per year, compared to a daughter of an average Holstein bull. This predominantly has come from an improvement in fertility and reduced feed costs of the Norwegian Red cross Holstein hybrid cow. Improved fertility and reduced feed costs, result in MORE Profit! 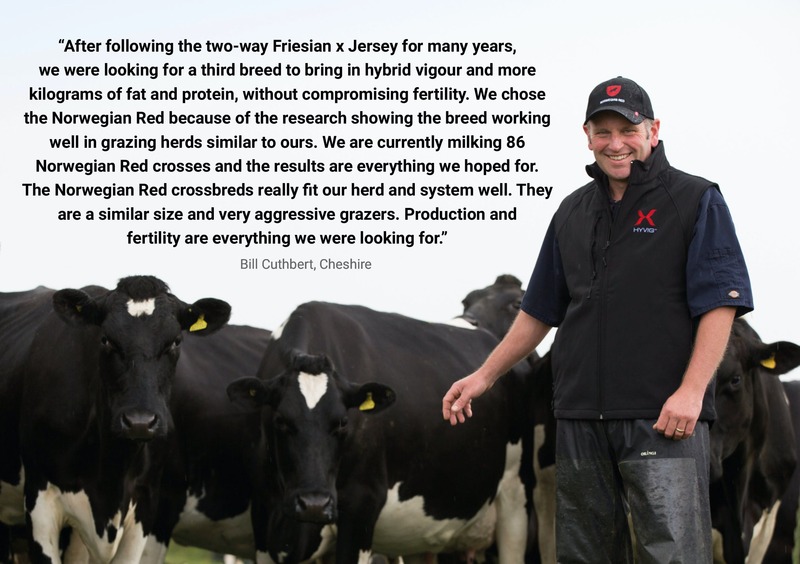 The Norwegian Red is a key profit generating component of a two-way or three-way cross in a well-designed crossbreeding system. With more than 200,000 Norwegian Red hybrid cows in lactation worldwide we know that crossing with Norwegian Red contributes to increased profit. 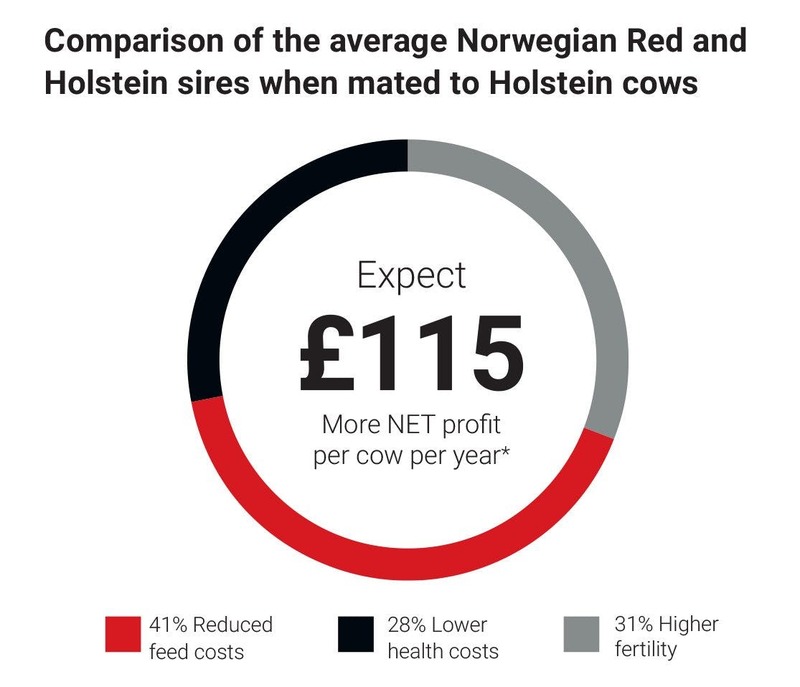 Norwegian Red will increase the level of health and fertility in all crossbreeding programs and will give dairy farmers increased profit and reduced workload. With easier calvings, better calf survival and significantly less use of antibiotics; crossbreeding significantly improves animal welfare. All this means less stress for the dairy farmer and the cows. So, with HYVIG you will get the best of both worlds whatever your system. Less labour is needed with easier calvings and better calf health and survival. Fewer breedings are required as well as fewer treatments with lower use of medicines, all saving time (see figure 1.1). In addition 50% of all Norwegian Red calves are born polled which means less dehorning and the calves themselves will be spared the trauma of the dehorning process.